The story was interesting, illustrated with still scenes and character voice-overs. Suggest playing 3 Cards to Midnight first for continuity of the storyline. 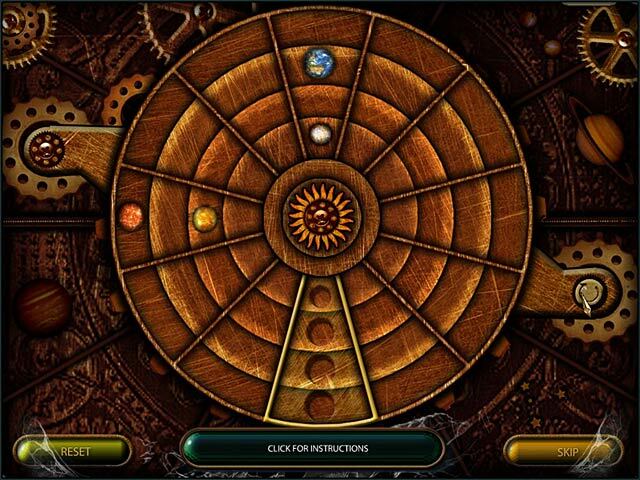 Game is a combination of two genres - word and hidden object. Two modes are available - Relaxed and Challenge. On Challenge mode, all the word associations and word connections need to be found in order to continue. Puzzles are challenging with some unique twists. If you wish to skip the dialogue, hit the spacebar. This game kept the good things from the original and added a few new things to improve game play and make things a little different. The storyline is a little hard to keep track of at times, but still a fun game with a compelling plot. Great Sequel To 3 Cards To Midnight! 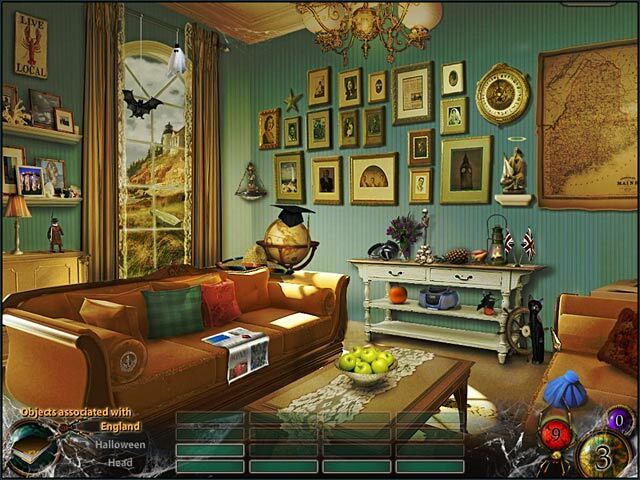 Again I don't consider this a hidden object game but this is a great adventure with "out of the box thinking". The mystery continues with Daniel, Sydney, Jess and her adoptive parents, could her mother be trying to contact her from beyond? 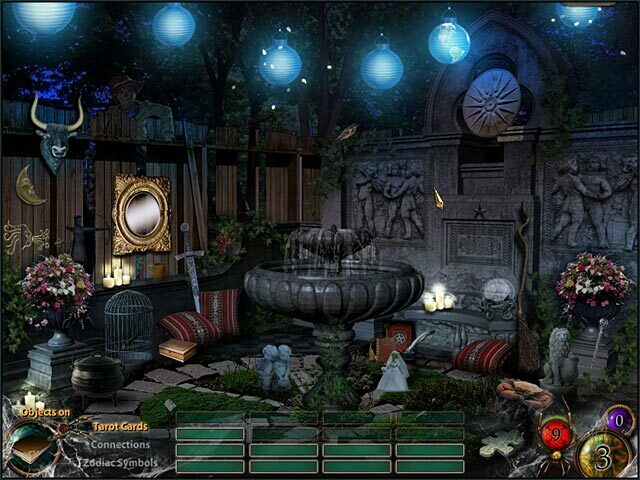 Each hidden object scene gives you 9 mistakes total before having to start the scene over. In this edition you are to find items that "come in 3's" or "items on tarot cards" and some will have you finding items that are associated together such as chess pieces, kings, jacks and even a knight for example. When a puzzle piece appears you are given a mini game to complete and I must say they aren't exactly easy and most are lengthy. One mini game showed pictures of the characters and you had to take several amulets representing love, female, relatives etc.and place them over the pictures in order to find the connections. After that you needed to place those same amulets over personal items to deduce whom the items belonged and so forth (truth be told I ended up skipping this one) The only complaint I have is with the constant interruptions of video and voice overs telling bits and pieces of this very interesting saga, enjoy! I had such fun with this game. Completely unique HOS. Instead of saying what you are to find it gives you kind of category and you find objects that relate to that category. This game play was quite a challenge but very intriguing. The story line is unique as well although it seemed a little jumpy at times like it assumed you knew things already or accepted a given concept. If you liked the Forgotten Riddles games you like this (or if you haven't played them DO). It's in the cards and the cards are good. This is the second in the series and just as good. HO range from easy to hard(need a clue hard). Game is fun for all skill levels. A good HO game with a little twist. The concept of the game was very good. I liked the challenge of finding the hidden objects associated with a given clue or idea. Some of the puzzles were a bit vague others were quite reasonable. The game itself was a bit drawn out and slow moving. Too much dialogue which became rather boring and tedious even though there were clues and details which were to be used later in the game, that is if you did not get sick of all the reading. The last drawback was that if during the game all your hints and guesses were used up, you had to go right back to the begining of that paticular stanza and replay all the dialogue to try again so as to continue. Movie Studio Quality Story Production! It's funny, the people giving negative reviews admit they are "not a fan of dialog". 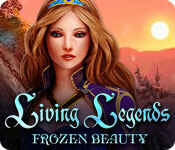 But if you are a fan of movies, books & EXCELLENT story lines, then this is Definitely the game for you. Also of note, many adventure/HOG games lack a good story line, as if the developers just threw a story together for the sake of putting out a game, this was the polar opposite, the story was so engaging, it drew you in to the point that you couldn't wait to return to see what would happen next! This is from the team who did the Tex Murphy series years ago, & even back then they pushed technology beyond the limits. It seems this game suffers from budget issues, but they still do an incredible job on the production end, especially on the scene acting, dialog & sound aspects. The gameplay was interestingly different, but got a little repetitive & ended abruptly. Again, as with the predecessor "3 Cards until Midnight", I kind of wish there were a little more location navigation, maybe some inventory to interact with & some changes along the way. But these guys shined at this in the past & I know with the right amount of backing they can continue to put out great games in the future. Overall, this was a really fun different HOG Story Book with a twist. Enjoy it, I did. Can't wait to see what's next! This is a good game if you're looking for a challenge. The storyline is riviting and the mini games are at times very challenging. worth every penny! challenging and thought provoking! This game was very thrilling and suspenseful. 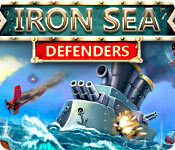 Great graphics and not your ordinary puzzles. There is even a part where if you choose one way the game continues and ends differently. With that said it has replay value. Held my interest and was hours and hours of fun.Lots of voice overs and cut scenes. I feel that the voice overs and cut scenes made the game more real.